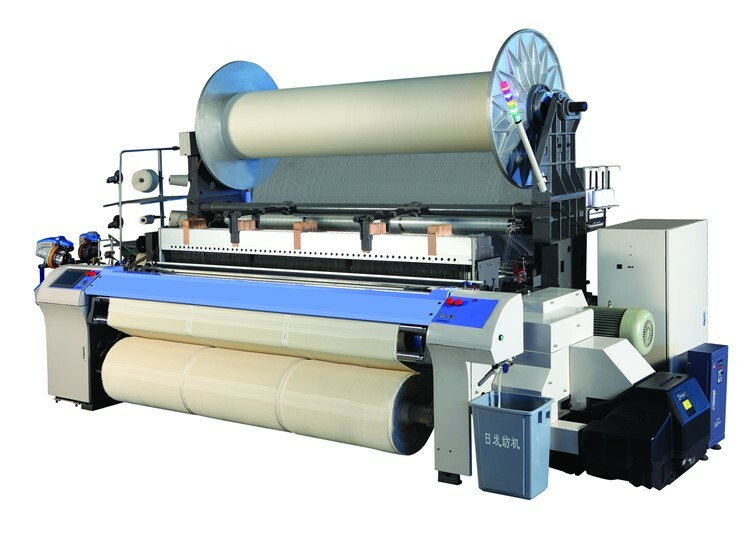 Product categories of Air Jet Terry Weaving Machine, we are specialized manufacturers from China, Air Jet Terry Weaving Machine, Terry Towel Weaving Machine suppliers/factory, wholesale high-quality products of Textile Weaving Machine R & D and manufacturing, we have the perfect after-sales service and technical support. Look forward to your cooperation! RFJA33 air jet terry weaving machines are the first manufacturer of air jet terry looms in China.It succeed the technology of RFJA series air jet looms, is a model of High Speed Air Jet terry looms with the design concept of high speed. lower consumption and wide weaving range. With the perfect performance of high speed and wide weavability, it becomes one of the best Towel Weaving Machine in the word.It is designed through completely new three-dimension technology, computer analysis & assembly, and utilized the virtual technology in designing of the insertion, shedding, beating and looping. 1) Solid frame and super high speed. 2) Middle support of sley shaft.